Yahweh is merciful for all mankind and His will that we should be growing in knowledge and of the truth of Him. That we may be useful for His glory by bringing other souls to Heavenly life. Yes, 80% will go to hellfire, and some sincere innocent Christian will be in Paradise, but not in the Kingdom of Yahweh. For they are like from a “Preschool / Kindergarten from “0” to 1st level ” who did not grow, and could not grow spiritually, but dies as “babes”. Why? , because you cannot grow spiritually by feeding your soul with the abominable heathen/pagan lies, and living in sins! “Amen, Amen, I say unto thee, Except a man is born from above by Him, and then living a holy life by feeding his soul with the Heavenly-Yahweh’s Truth, he cannot and shall not be growing Spiritually.” Amen. 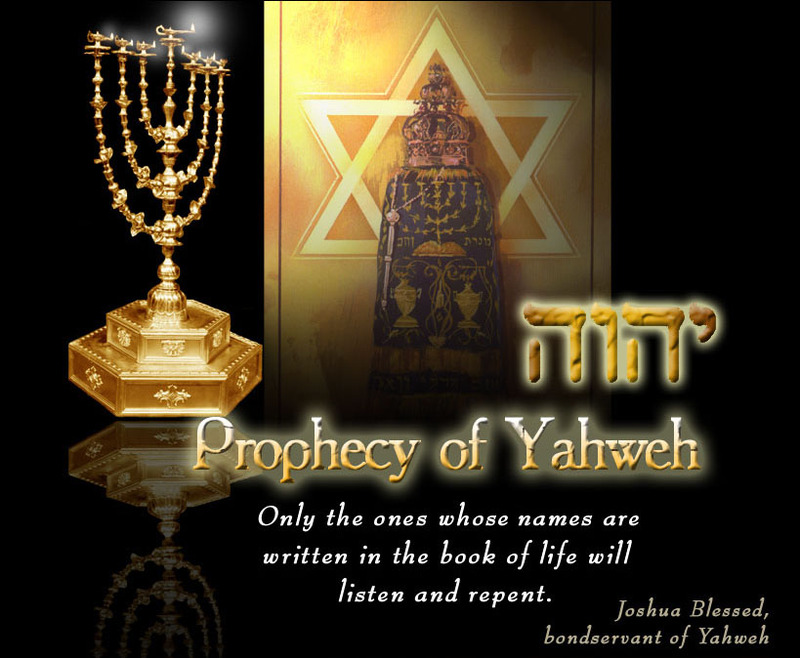 I am Joshua Blessed (My name is meaning – Blessed is the Salvation of Yahweh) is the man of Yahweh, who live by the Holy Spirit of Yahweh and this website is a living proof to the world of mine own personal growth in the Truth of Yahweh. Amen. He that hath an ear, let him hear what the Spirit saith! We must desire a sincere /pure TRUTH – free from lies, pretense or deceit, not dishonest or hypocritical… milk to grow. Therefore, would you grow spiritually to High school and then College, University … and became a ” Man of Yahweh ” or will you die as those fools 80%? Or you are one of them that lives as a devil and hoping/believing /trusting to be in Heaven but was cast in hellfire? Are you still a babe of this 80% that – ” Ever learning, and never able to come to the knowledge of the truth”, in the Preschool/ Kindergarten up to now listening to a “good news” of “ABC book”? Angelica Zambrano’s 3rd Trip to Heaven and Hell.